Developed from our popular Joker model, the Joker Plus incorporates additional features to ensure that all-day comfort is unsurpassed. Updates to the fit, rubber compound and styling mean that Joker Plus remains the ideal all-day training partner. The Joker Plus features a new super-comfortable semi-asymmetric last with slimmer fitting heel and low tension rand. An upper of high quality split leather and synthetic microfibre is combined with a PU Air Net lining for exceptional comfort and a fresh new look. The shoe now features a closure of 3 opposing straps, for enhanced fit while retaining convenience. Our padded HFS (Heel Fit System) is updated for 2017, providing luxurious fit with reduced bulk. A newly developed outsole now includes a specially shaped heel cavity, allowing the shock absorbing EVA of our Cushioned Heel System to work more effectively without impeding fit. A new stiffer midsole helps provide support while edging, and the sticky and durable Zenith Quattro rubber provides the ideal blend of durability and friction. 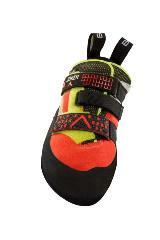 Joker Plus is ideal for comfortable all-day climbing. Longer routes in the mountains, full days at the crag and extended training sessions; all the pleasure without the pain. Our bestselling model gets even better! 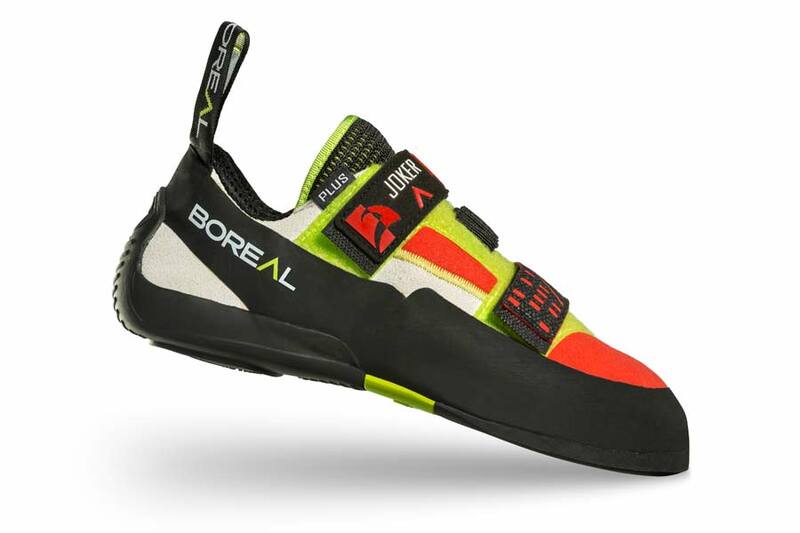 With a host of upgrades the all new second generation Joker continues to offer climbers the very best combination of comfort, performance and value available in a single shoe. Developed from our famous Joker model, the Joker Plus Lace incorporates additional features for unsurpassed comfort. 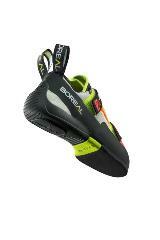 A host of new upgrades means that Joker Plus Lace remains the go-to shoe for multi-pitch epics. Diabolo is the shoe to take your climbing to the next level without unnecessary discomfort. Diabolo combines the precision of a performance shoe with the comfort of an intermediate model making it an incredibly versatile for both improving and experienced climbers alike. Alpha is the essence of our famous Joker series distilled into a basic ‘no frills’ package. Superb value for money and very comfortable, Alpha is ideal for beginners or as a comfortable and inexpensive second pair.